Meet Kayla Waite, a shift supervisor at CoreLife Eatery in Allentown, PA! Making customers happy is Kayla’s number one priority each day. She also makes sure that all the food is as fresh as possible by checking for proper temperature and taste. Kayla loves working with her team, which she describes as friendly, happy, generous and always ready to greet each other and customers! During Kayla’s orientation, she loved how everyone was working together on a fun scavenger hunt! Kayla, 20, lives with her parents, Kelly and Jeff, and older brother, Alex. She has three pets – a Boston terrier named Moxie and two guinea pigs named Squeaks and Peanut. In her free time, Kayla loves to run, go bike riding, and kayak. Her favorite CoreLife Eatery bowl is the Sriracha Ginger Tofu and Ancient Grains bowl! 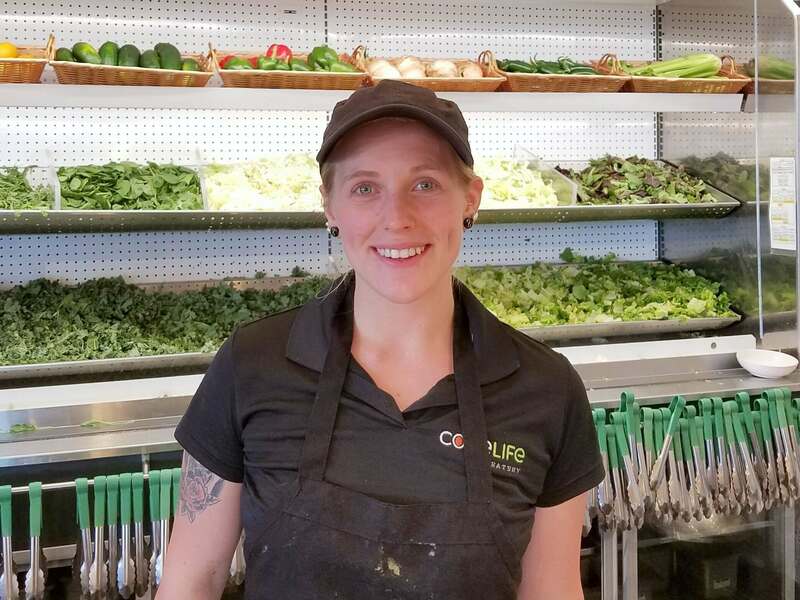 Make sure to say hello to Kayla next time you visit CoreLife Eatery in Allentown, PA!